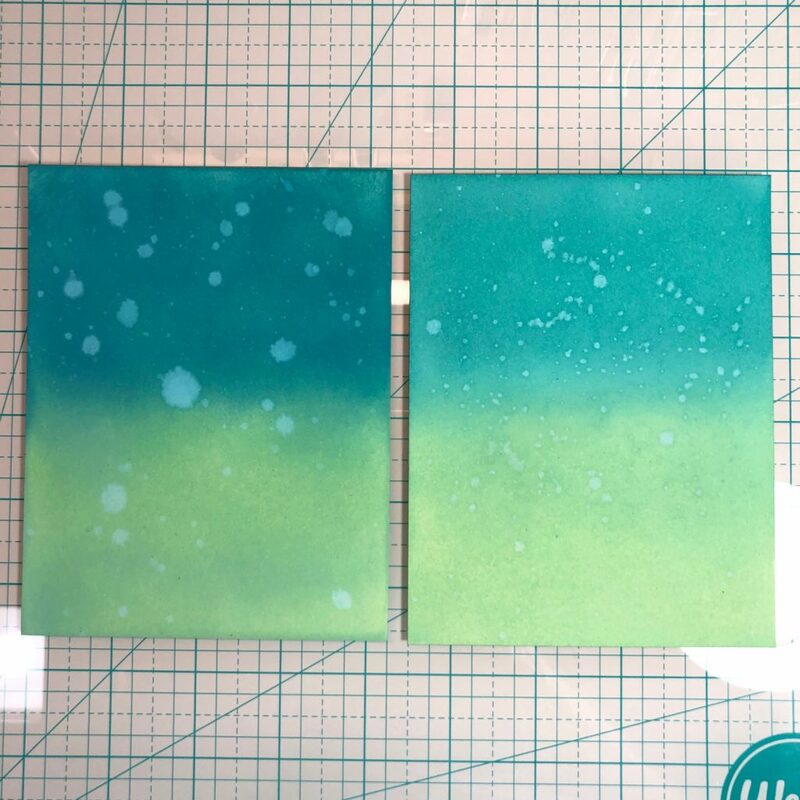 I was playing around the other day with Distress Oxides and and made two backgrounds, one on Solar White 80lb and another on Bristol Smooth. 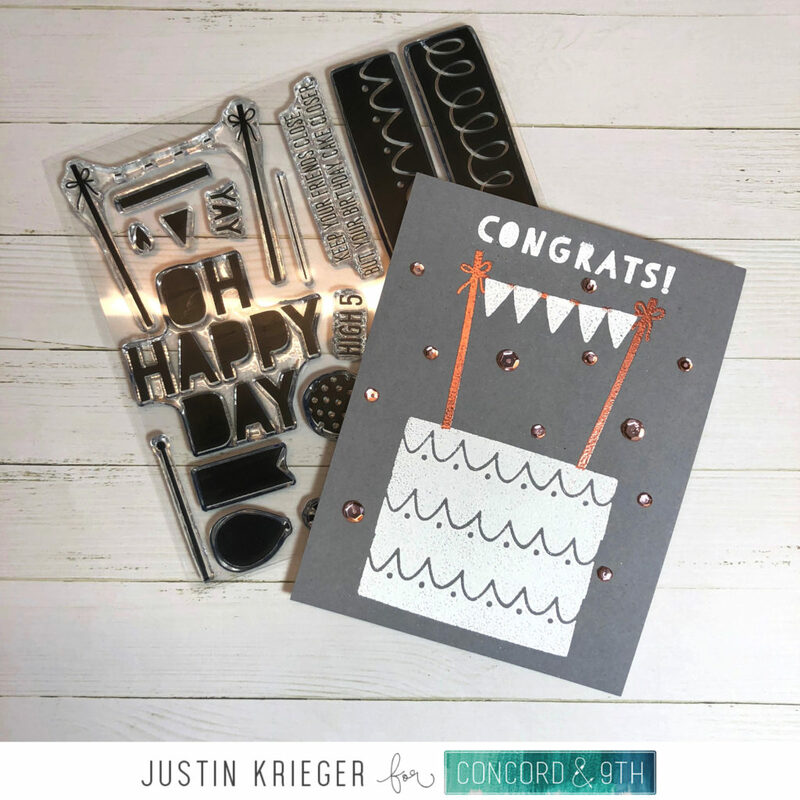 I ended up using the one on the Bristol Smooth to make a card. 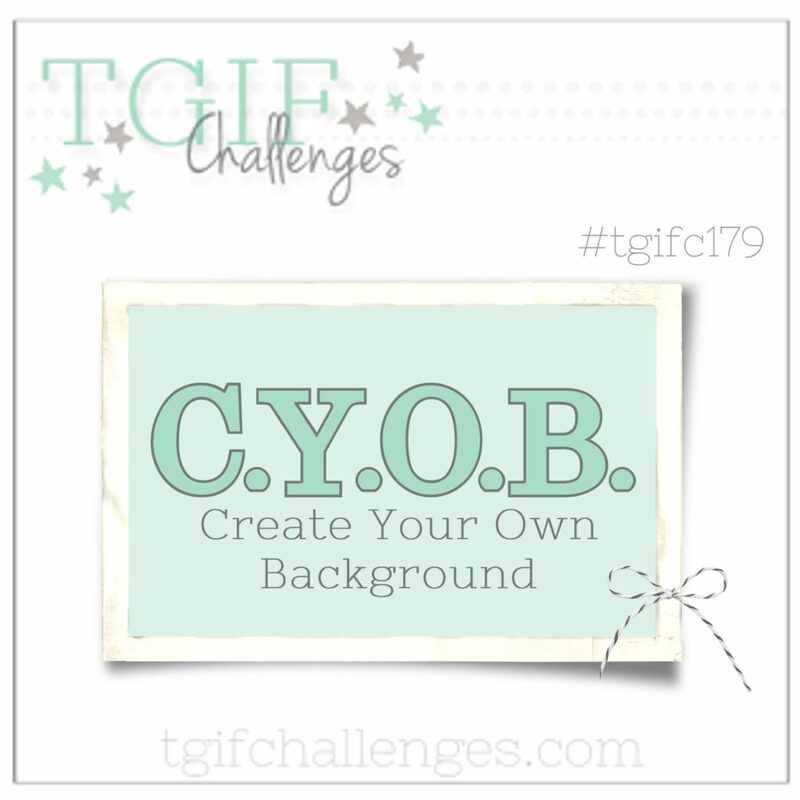 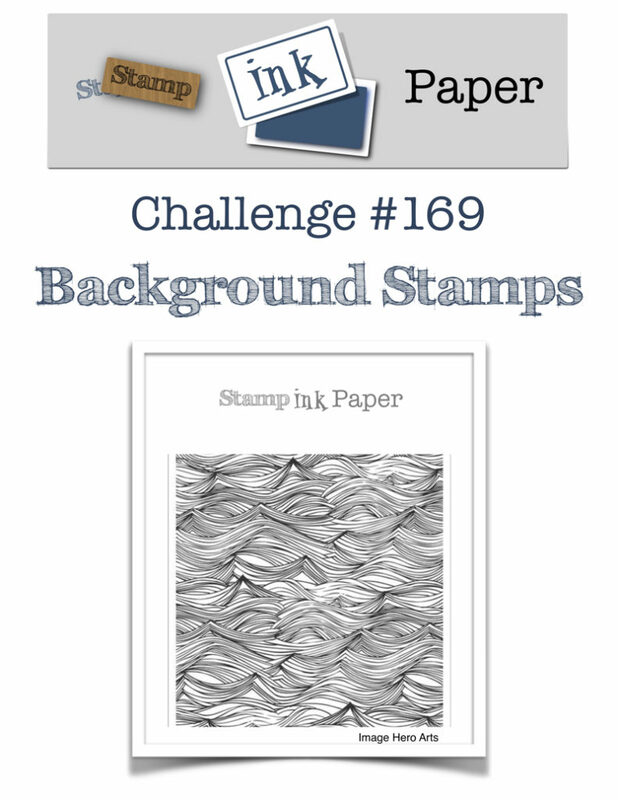 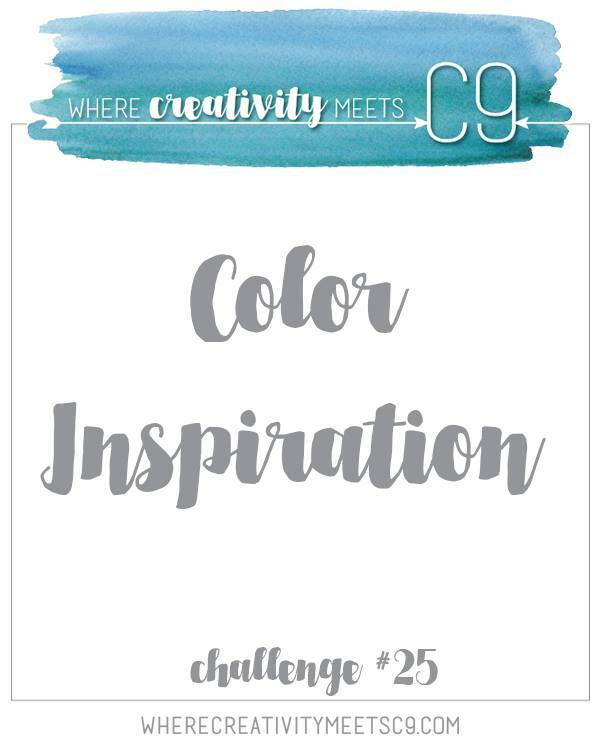 I noticed that they have a background challenge over on the TGIF Challenge and I think this card fits the bill! 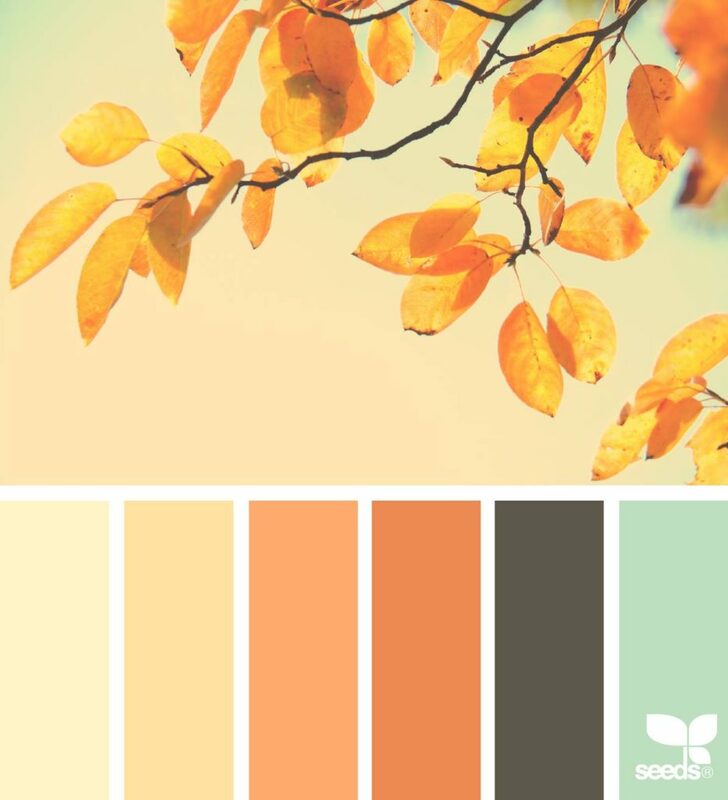 Some nice soft Fall colors! 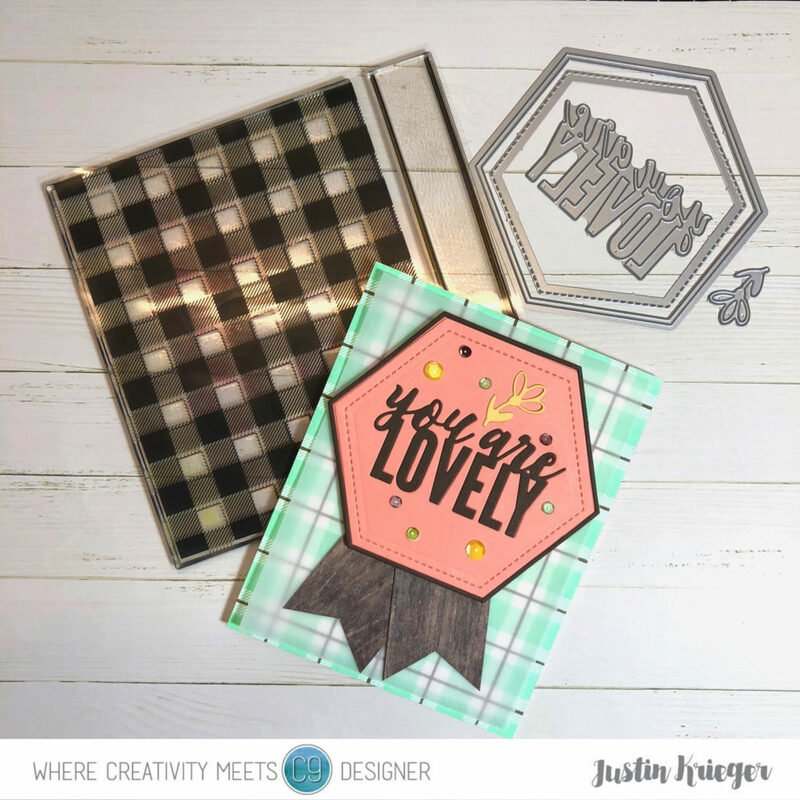 I started my card by creating the background using the Plaid Background Photopolymer Stamp and my MISTI. 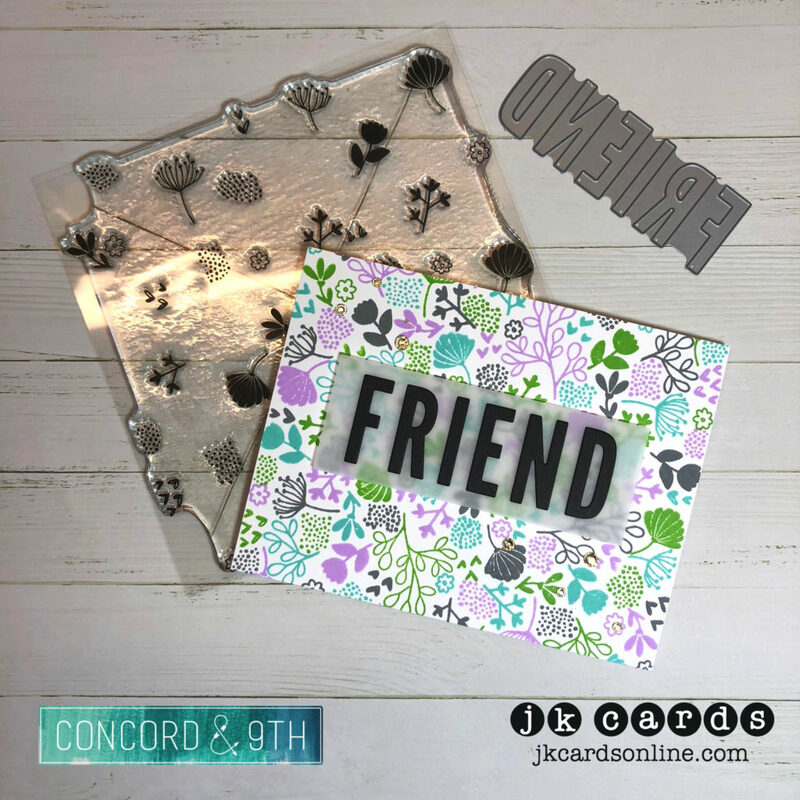 It’s stamped in Mint Julep and Cup O Joe onto a piece of Solar White 80lb. 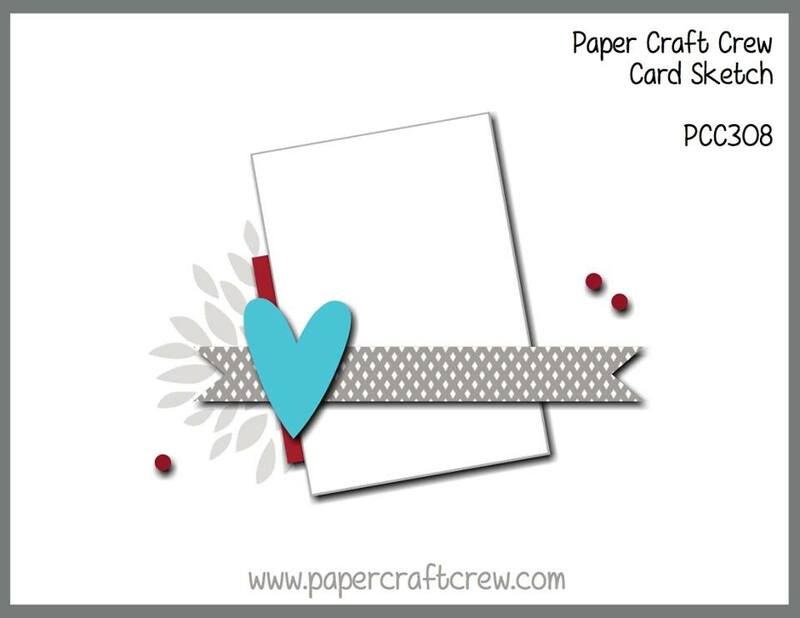 The background is adhered to a card base of Neenah Solar White 110lb Card Stock. 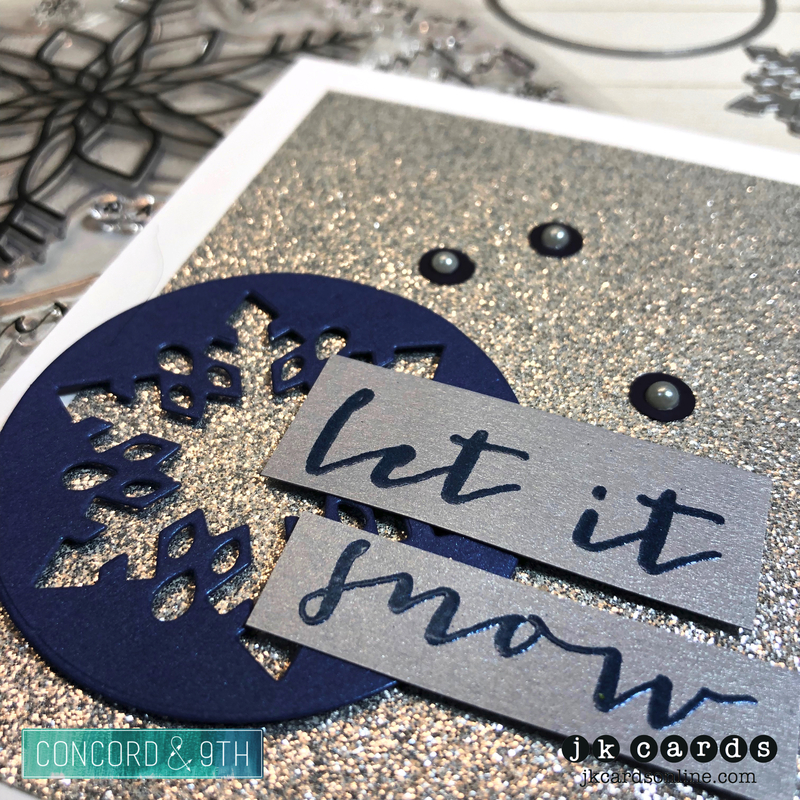 Next I used the Lovely Blossoms Dies to cut out a piece of Calypso Coral and Early Espresso. 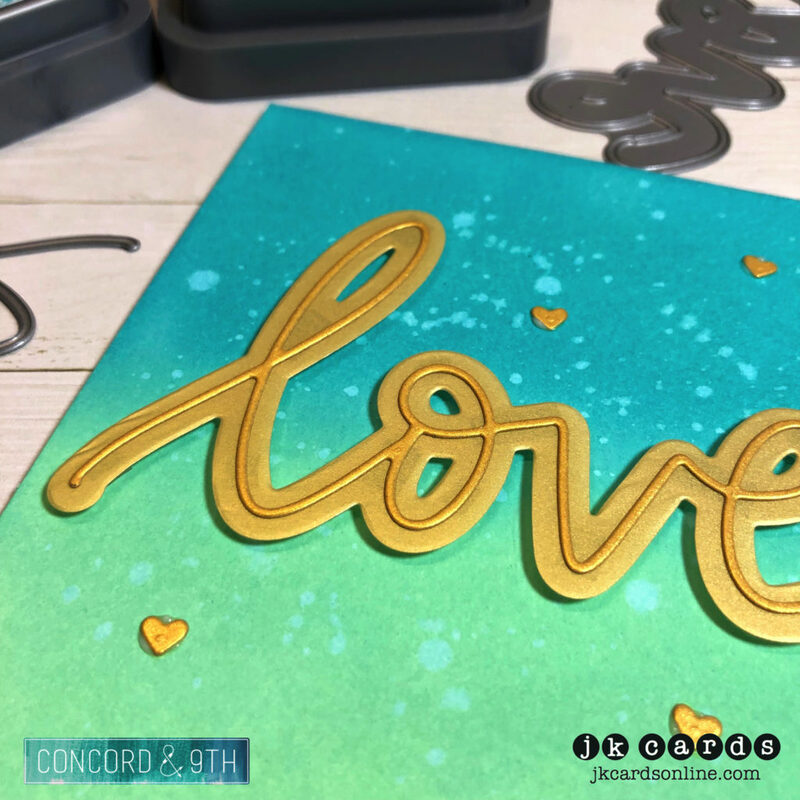 I adhered the Calypso Coral die cut to another piece of Calypso Coral and used Glue Tube to add back in the you are lovely and frame. 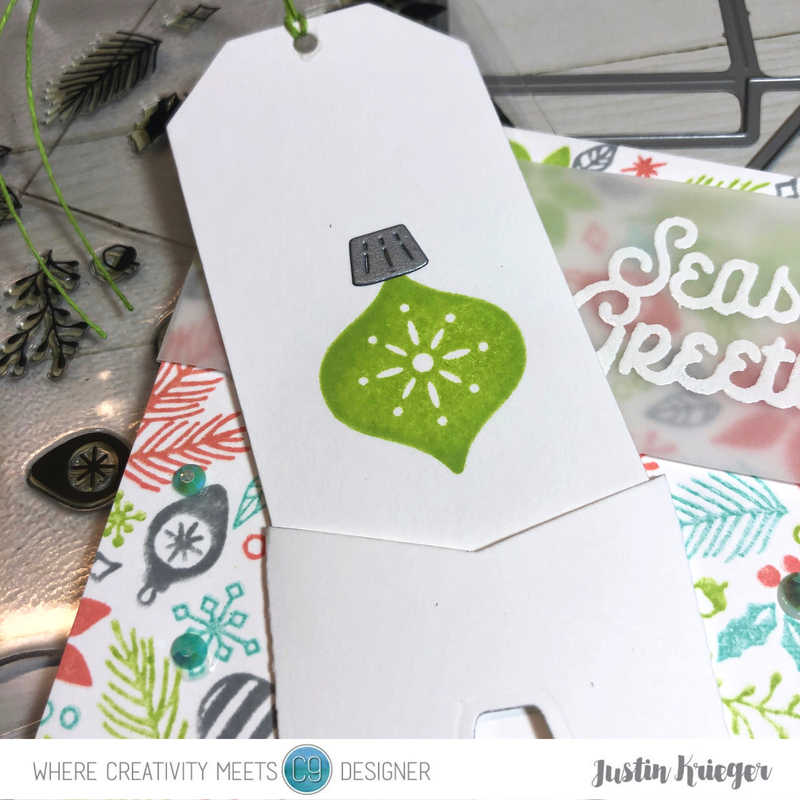 The excess is trimmed off with my Scissors. 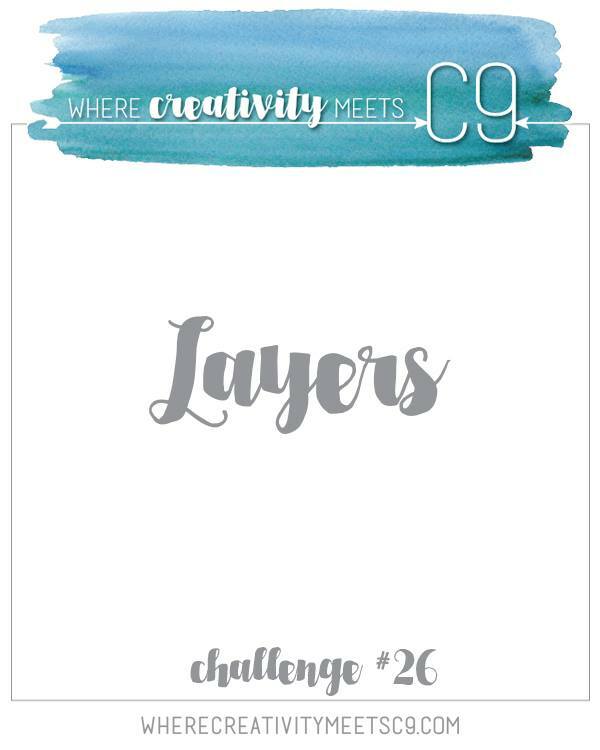 The tails are two pieces of Wood Textures 6×6 Paper. I added them behind the die cut and the added a piece of Fun Foam. 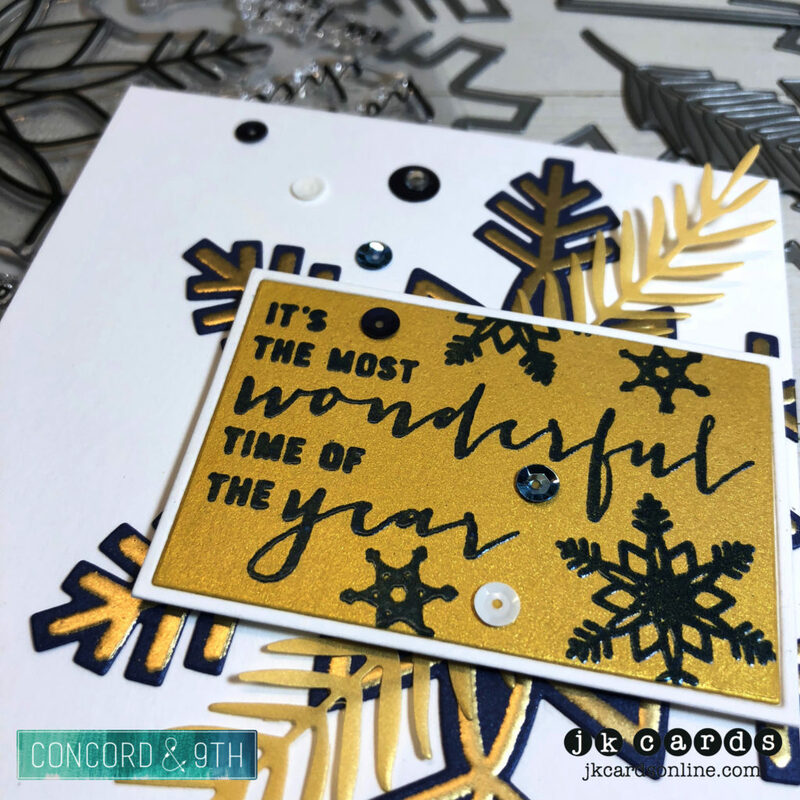 To soften the background a bit I trimmed a piece of Vellum to 4″ x 5 1/4″ and and added that to the back of the die cut and then adhered the whole thing to the card with E-Z Runner Ultra Strong. Just a few Pretty Pink Posh Espresso, Lemon Drop and Lime Sorbet Sequins and a die cut flower also from the Lovely Blossoms Dies cut from a piece of So Saffron complete the card! 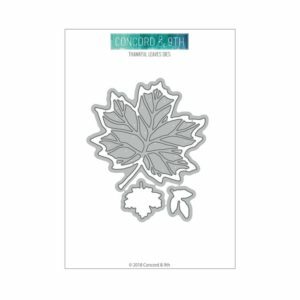 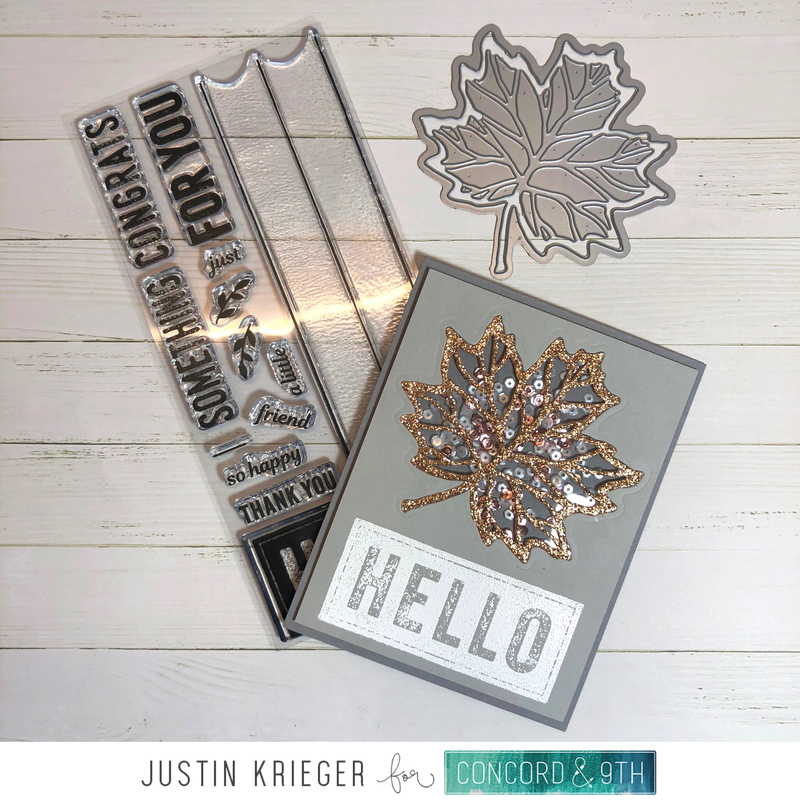 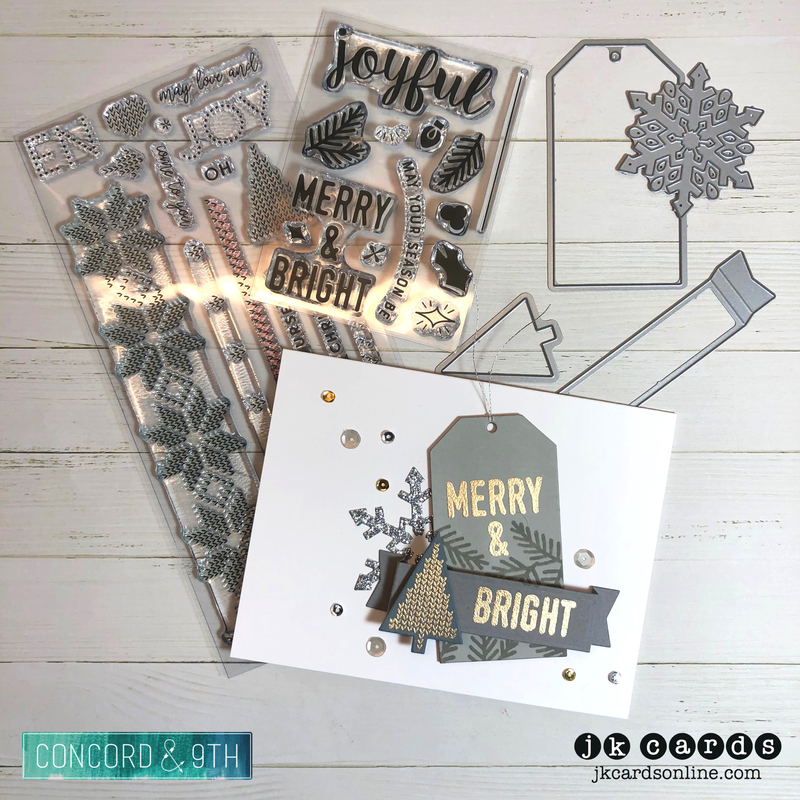 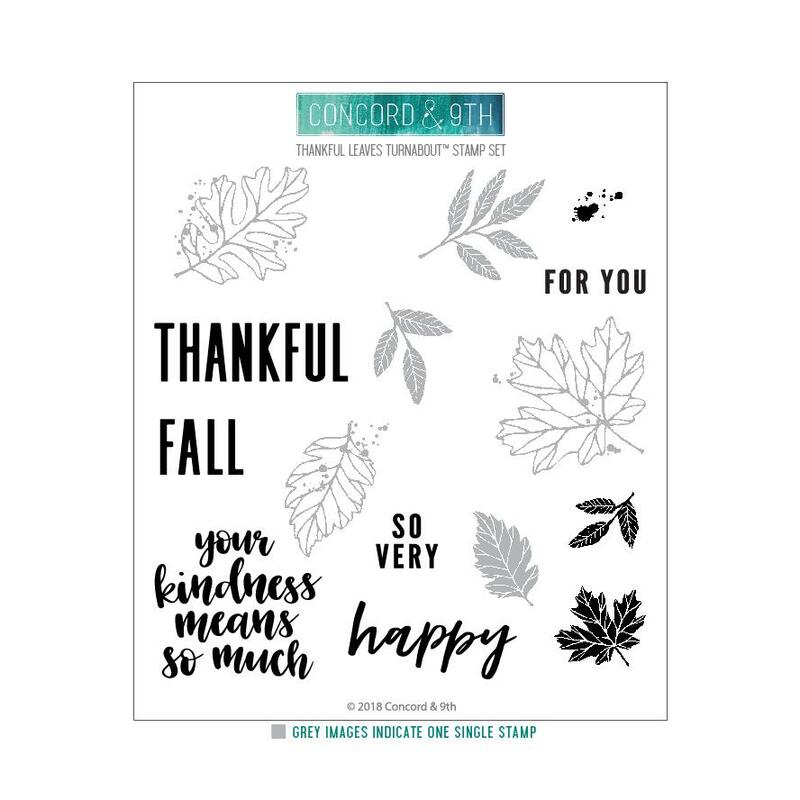 Feature Friday for Concord & 9th – Thankful Leaves! 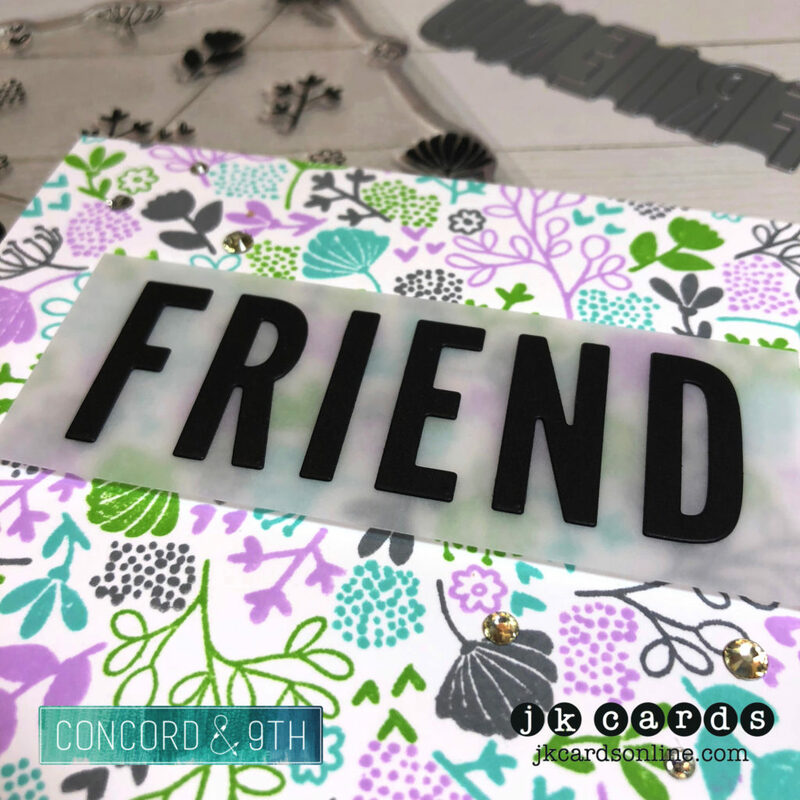 It’s time for another Feature Friday post for Concord & 9th! 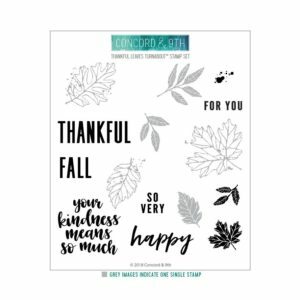 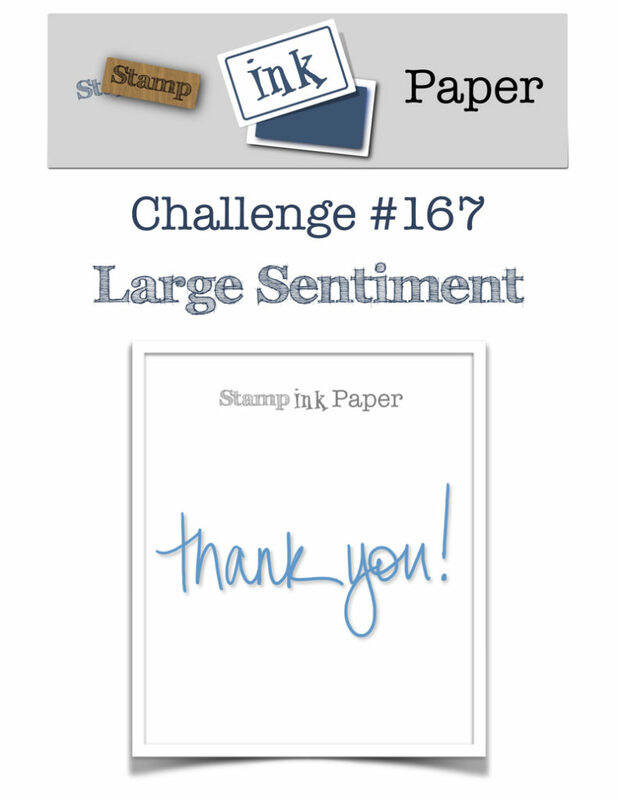 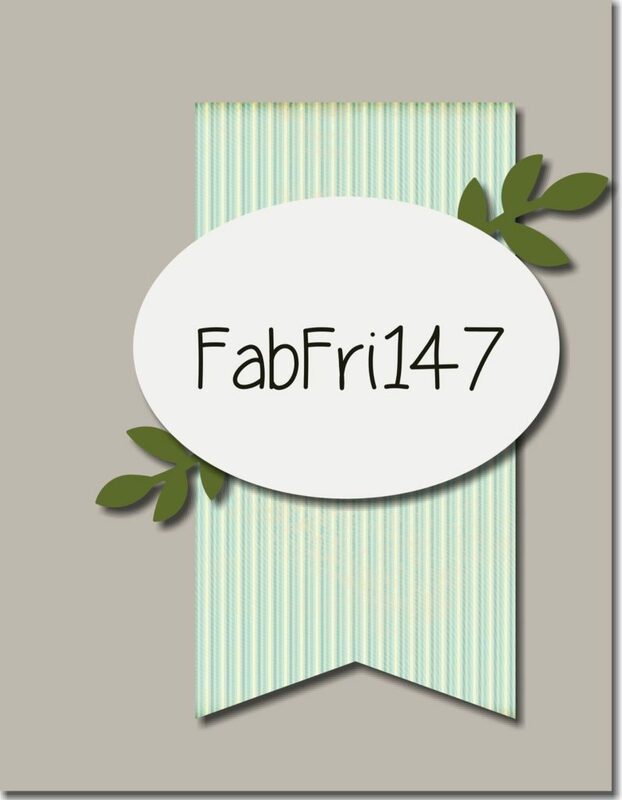 This week we are featuring the Thankful Leaves Stamps and Dies! 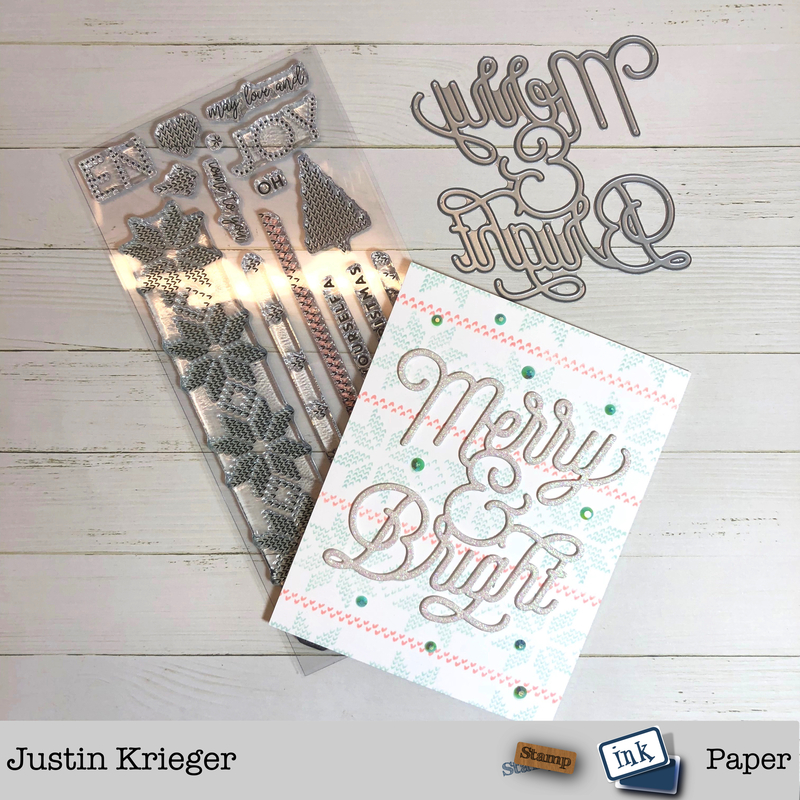 I also used a sentiment from the Shiplap Sentiments Stamp Set! 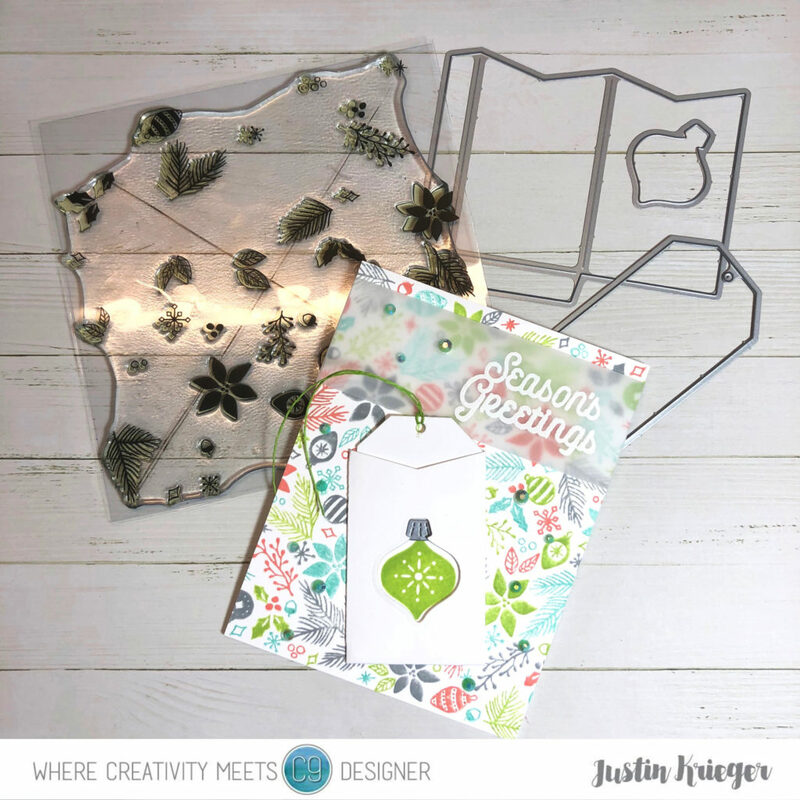 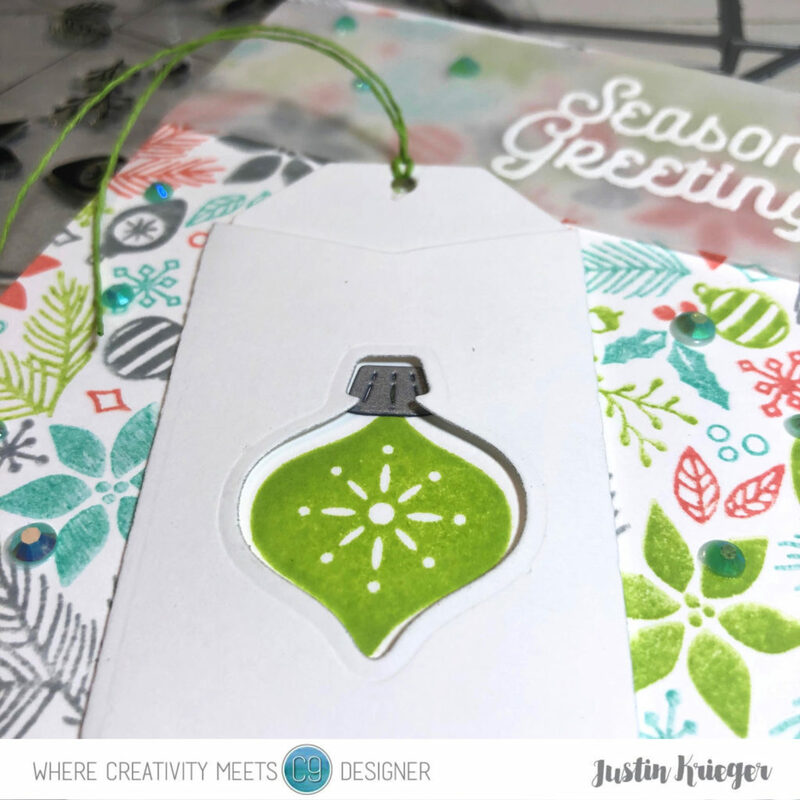 I really do love that leaf die and today I used it to make a shaker card! I began by cutting out the solid leaf from a piece of Grey 110lb Card Stock. 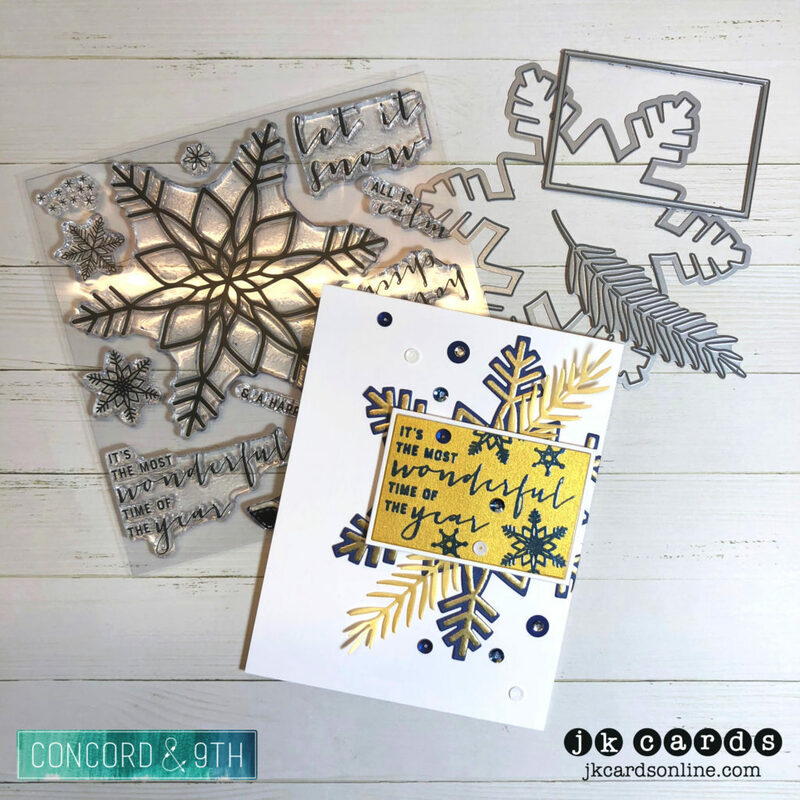 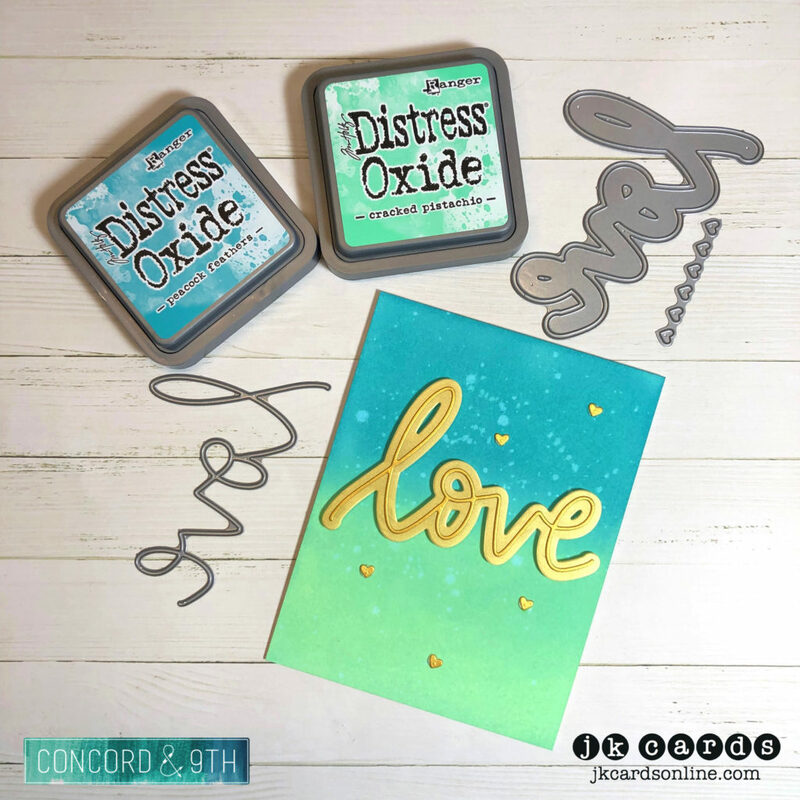 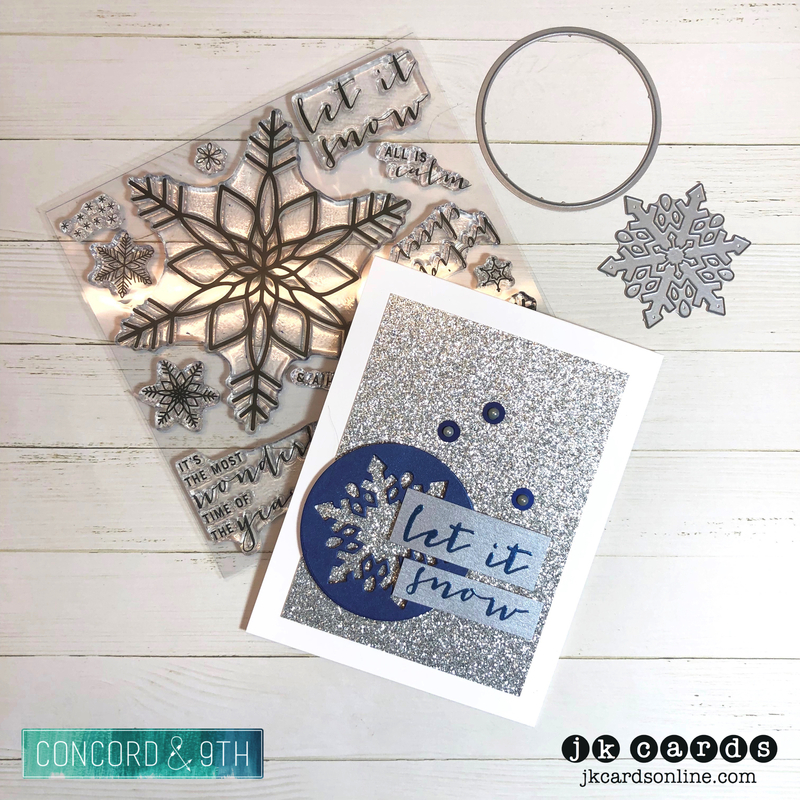 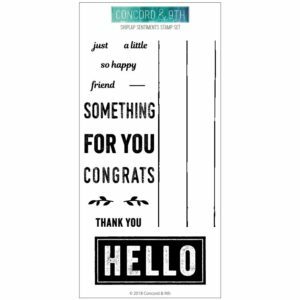 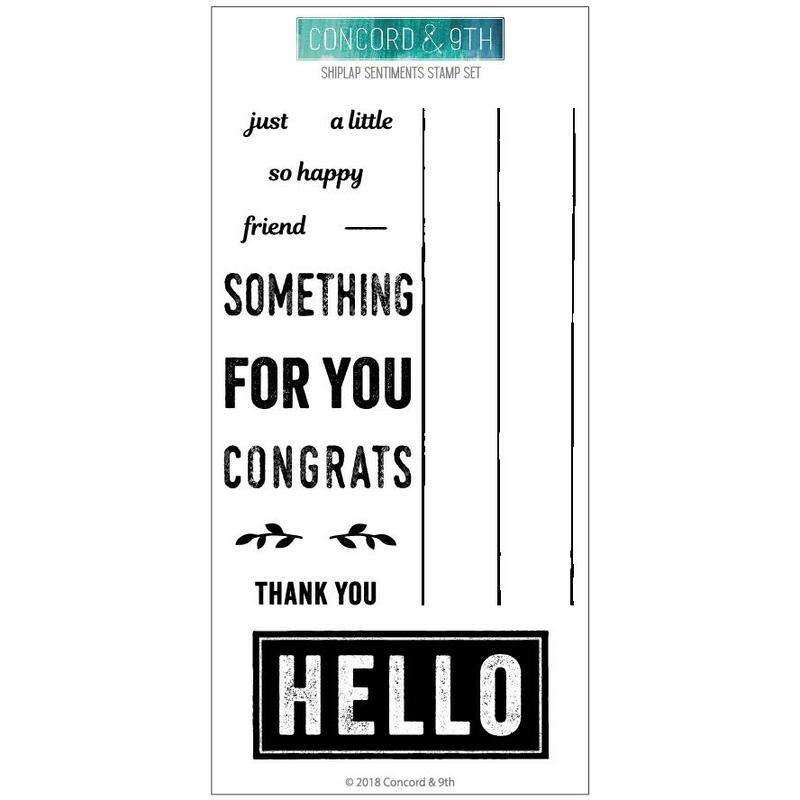 On the bottom I heat embossed the Hello from The Shiplap Sentiments Photopolymer Stamp Set in Hero Arts White Embossing Powder. 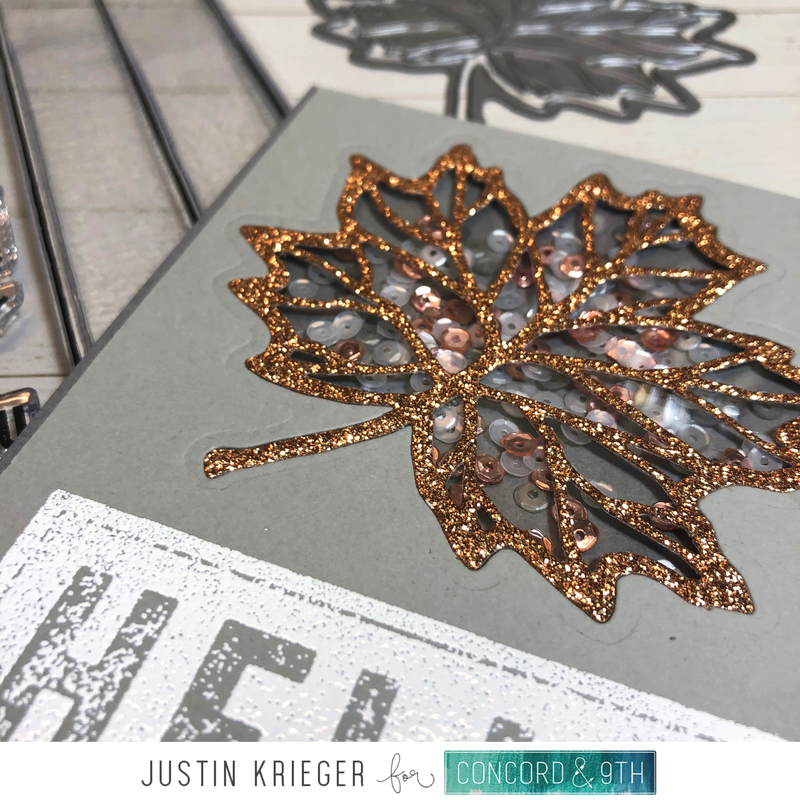 I then used the Leaf Die with the insert to cut out a piece of Copper Glitter Paper from the Summer Glitter Paper Pack. 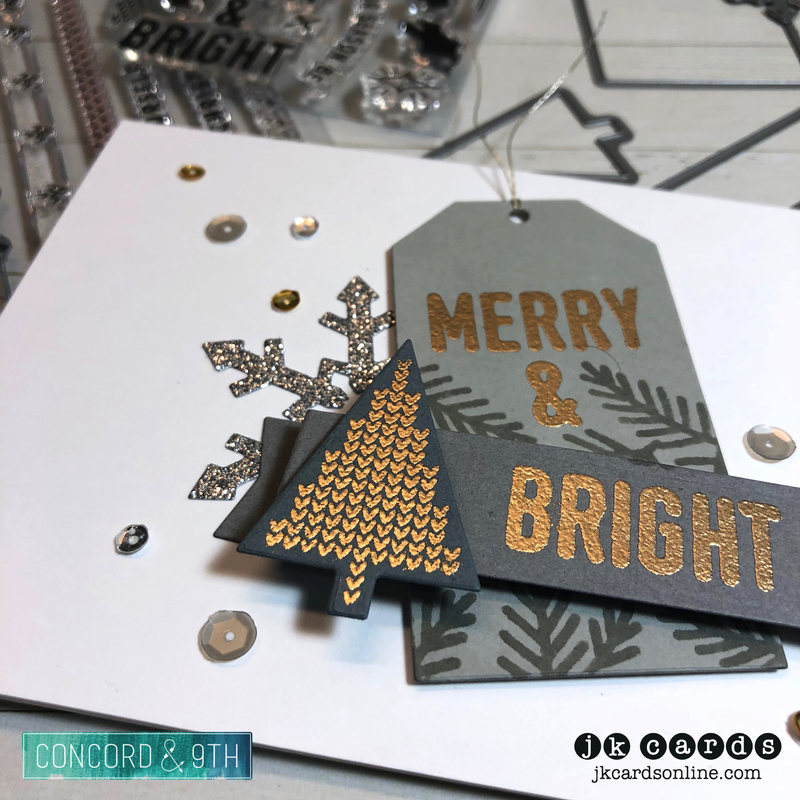 On the back of the Grey panel I adhered a piece of Acetate and then used Multi-Purpose Spray Adhesive to adhere to the copper glitter leaf to the Acetate. 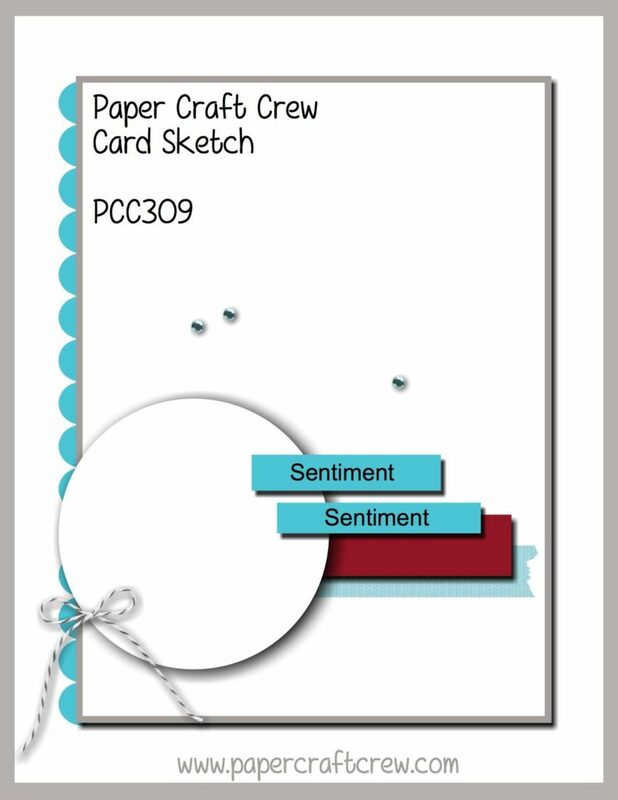 Some 3M Foam Tape is added to the back of the panel. 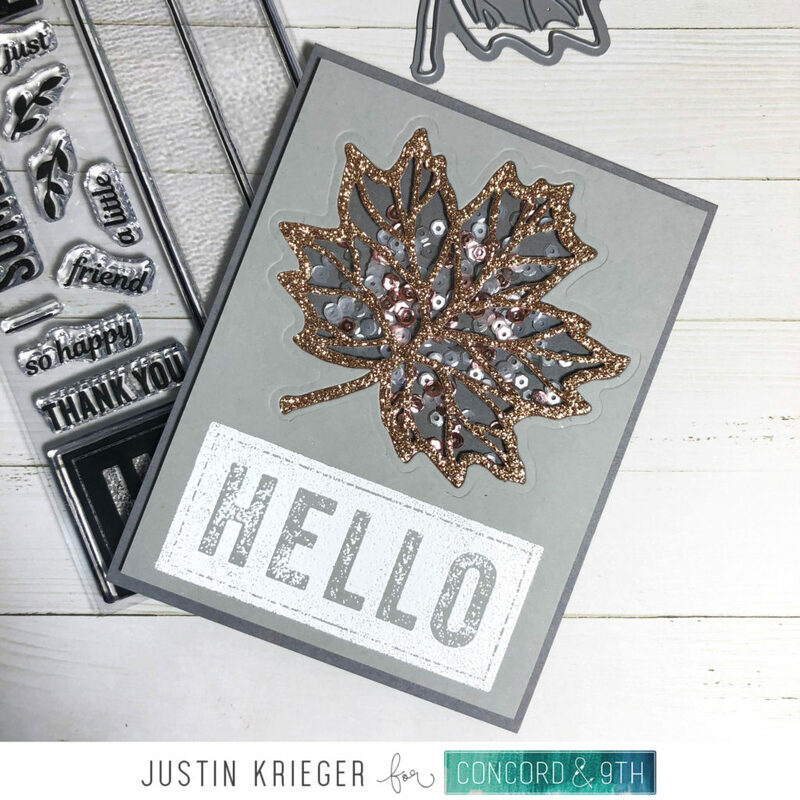 I used a darker piece of Grey 110lb Card Stock for the card base and added Pretty Pink Posh Rose Gold, Pewter and Marshmallow Sequins before adhering the front. 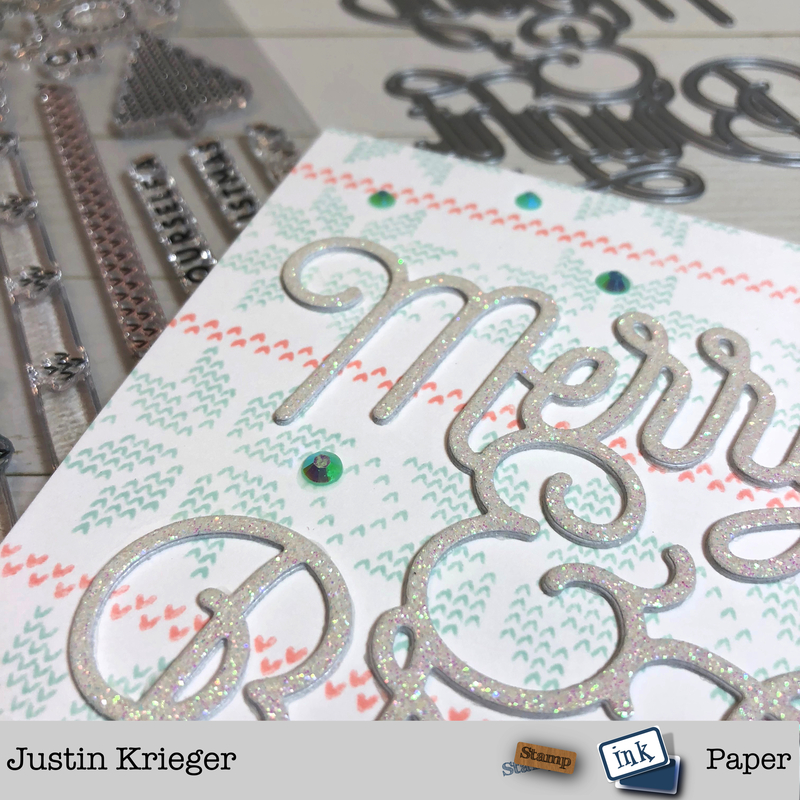 I love all of the sparkle and that Glitter Paper from Concord & 9th is awesome!